This Beautiful First Holy Communion Challis Candy Wrapper has everything you need to symbolize your child's special day. 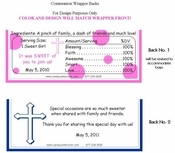 Adorned with grapes and bread, this Communion Candy Bar Wrapper's colors can be changed to suit a boy or girl. 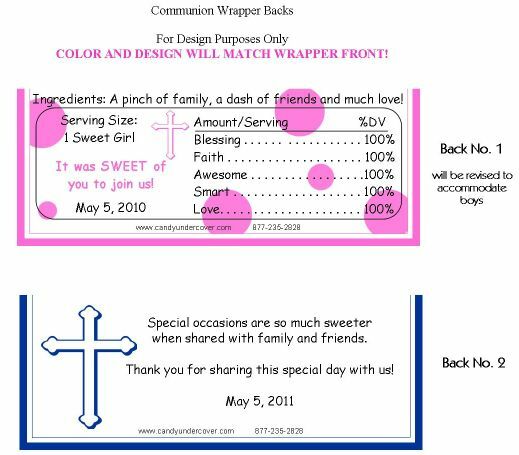 Personalized with your child's name and date of Communion, this chocolate wrapper is perfect!